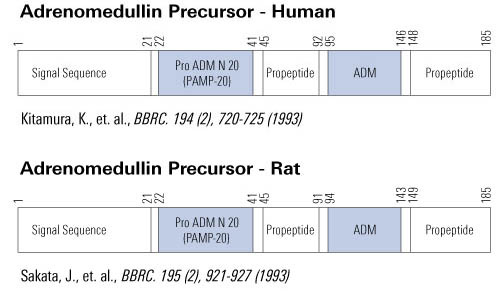 Lei Li, et al., Coexpression of adrenomedullin and its receptor component proteins in the reproductive system of the rat during gestation. van der Heijden et al. 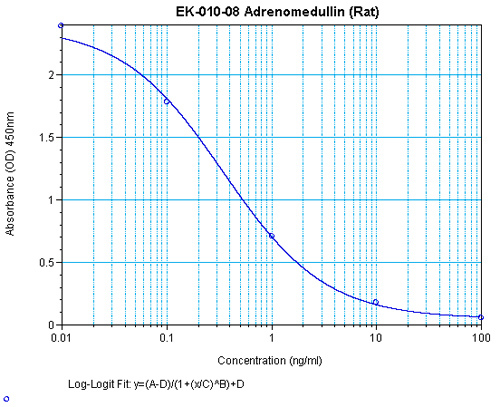 Vascular expression of adrenomedullin is increased in Wistar rats during early pregnancy. Eur J Obstet Gynecol Reprod Biol. 2005 Nov 1;123(1):35-40. Nakanishi et al. 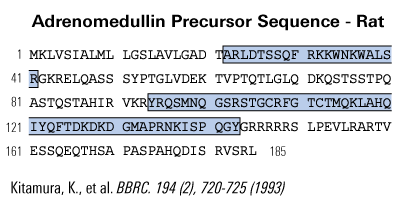 Expressions of adrenomedullin mRNA and protein in rats with hypobaric hypoxia-induced pulmonary hypertension. Am J Physiol Heart Circ Physiol. 2004 Jun;286(6):H2159-68.